Discussion: The Travel Department will reimburse baggage fees, with an original receipt, for the first bag for up to 7 days travel, or the first 2 bags for travel greater than 7 days. Under special circumstances, and when accompanied by a memo of explanation, the Travel Department may reimburse baggage fees in excess of the above guideline. Discussion: FBS has blogs on it’s website. These blogs are used for sharing of ideas about a particular subject. These blogs allow the users to interactively communicate with FBS and other users helping all to discover and share best practices. Discussion: The Business Process Advisory Group, or BPAG, is an unsanctioned group where at least one representative from each department or college meets once per month to discuss financial applications and related processes. This group meets for the purpose of sharing ideas and improving business practices. BPAG is not a policy making committee, but a group meeting to facilitate dialog between FBS, the application developers and the end users. Discussion: The Business Unit (BU) is the highest level at which transactions and processing rules can be grouped and reported, is coded using 2 numeric characters, and is the first element listed in the chartfield string. Oft times, but not always, Business Unit represents a separate legal entity, see below. Each Business Unit can define the other Chartfields to meet its own needs. PCards, authorized for Business Meals by the Dean or equivalent, are the preferred method of payment, although other approved direct payment methods may be used as well. Required documentation includes: detailed business purpose, name of association or group attending, Dean or Director (for non-academic areas) signature (in compliance with Policy 3-031). 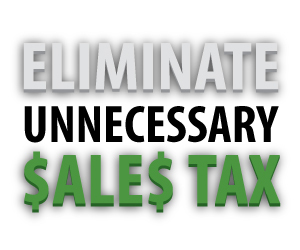 Personal forms of payment should not be used, as these transactions cannot be sales tax exempt. Large groups should be planned well enough in advance to ensure these requirements would be met. Required documentation includes: detailed business purpose, name of individuals in attendance, Dean or Director (for non-academic areas) signature (in compliance with Policy 3-031). Every effort should be made to plan smaller group business meals in a way to obtain sales tax exemption, but we understand there is occasional need to host a business meal that is more spontaneous in nature and where a rigid insistence of sales tax exemption inappropriate for those in attendance. When PCards are not available, and personal forms of payment are necessary, Staff and Faculty may be reimbursed for the cost of a small group business meal and the associated sales tax.